There are multiple paid and free online proofreading tools but Grammarly is considered as a leading tool. Here in this Grammarly Review, I will share Grammarly Features, Grammarly Pricing and how Grammarly works. As we all know writing a blog post is not a big deal but maintaining the accuracy and quality is a something difficult. If you’re writing a good blog post and you’ve explained everything there, but there are lots grammatical mistakes, then this is soothing that will not put a good impression on your visitors. So you should always try to write error free articles. It has been seen that around couple of millions blog posts are getting published every day but are those all worth. How many of these blog posts are error free? And how many posts are copied from other blogs. I am sure there is a good amount of such blogs. It’s very common for social sites; you’ll find so many people complaining about copied content. When I started professional blogging last year, one of my blogging friends advised me to start with Microsoft Word. Word highlights the error like spelling mistakes, few common grammar mistakes and so this was good to start with. Later I found after writing in Word helping me up to some extent but not it’s making blog post perfect. So I searched for few online tools that can help me to improve my writing skills and make my articles almost error free. And I tried Ginger and few others as well. But didn’t get much success because I wanted to have some tools that can suggest me How to correct the grammar mistakes. So finally I found Grammarly and I am using this tool for a month. All I can say with my experience till now with Grammarly is, it’s a great tool for blogger, professional writers, Students and for all those who want to write error-free contents and want to improve grammar. Recently I was checking my previous article (Things to know before starting a blog) and I found more than 13 types of error in the article. This tells how many check criteria this tool has. Also, it shows how many lines are in your articles that Google thinks is copied from others. That would be a great help as Google only 30% plagiarized contents are allowed else you may get penalized by search engines. But Grammarly is not the only tool which allows you to write error free articles and there are many Grammarly alternatives as well. You can also check how to get Grammarly premium free. Grammarly is s new startup that has been warmly welcomed by the blogging community and educational community. Grammarly as a site claims it to be the world’s best grammar checker tool. It doesn’t only check for the grammatical mistakes in the content but also provide suggestion to correct it. It instantly checks grammatical errors in writing, checks for plagiarism and is a convenient online Proof Reader. We can say Grammarly as unique in its category. Because another tool only highlights grammatical mistakes and provide suggestion to improve, but it also checks for the plagiarism. With the function of checking plagiarism, it helps us in preventing being panelized from Google or any other search engine. Grammarly is a great tool for bloggers, Students, teachers or anyone who wants to improve their writing skills and want to write error free articles. 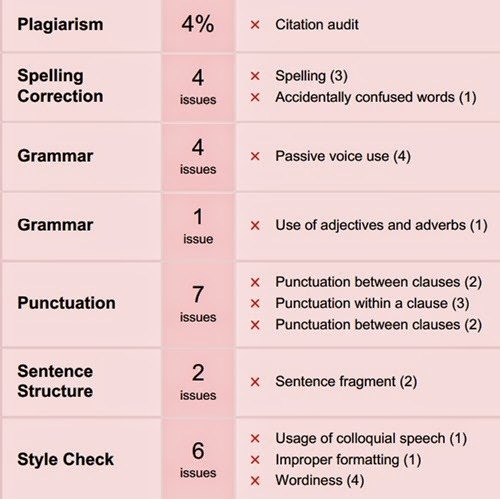 Grammarly claims to check more than 250 types of error in the articles including syntax, punctuation etc. As I mentioned earlier, Grammarly not only checks for the grammatical mistakes but also it looks forward to the vocabulary and plagiarism in the articles. This helps a lot in preventing being penalized from search engines. It does not only check for the plagiarism content in the article but also points to the websites from where it thinks, contents have been copied. You can check the below video regarding its functionality. Or you can even upload a Microsoft Word document directly on the Grammarly interface and can check for the errors. It rates the article in the range of 0-100 and like in above image, it showed 4% plagiarism means in total there is 4% content copied from another site that Google think. Apart from the copying and pasting the article in their interface and uploading a document to check for the errors and plagiarism, you have another option also. 1. Grammarly now provides browser extension also for spelling checking and other grammar errors. It’s an unobtrusive tool which doesn’t slow down the browser and pops up when it spots a potential error. 2. Also, Grammarly provides the extension for Microsoft Word too. If you’re a word lover (like me), you need not visit Grammarly website to check for the errors and plagiarism. Instead, you can directly install Grammarly add-in in your word and whenever Grammarly tool will find any error, it will show you and you can easily correct it. 3. Now, Grammarly also provides Desktop software. So now there is nothing to worry about internet connection and all. Without a connection also, you’re free to write an error-free article. To be true, I have enjoyed my journey with Grammarly. Earlier I was writing my articles in the word and was looking for different online tools to check for the grammar. But the time I started another blog and was getting less time for all these, so I started searching for some permanent solution and finally found this tool Grammarly. I am using Grammarly since a month and can certainly tell you that I have improved my writing a lot. 1. Different ways to use this tool- Grammarly interface, Browser Add-ons, Word’s extension and desktop tool. 2. Check for more than 250 grammatical and other errors in the article. 3. Also, check for the plagiarism in the article and prevent from being penalized. 4. Easy to use interface. Truly speaking apart from the price, I haven’t found something wrong with this tool. If you’re going to buy Grammarly on per month basis, it may be costlier to you. Rather I would suggest you buy for a year. If you buy for a year, it will cost you just $11.66 a month compared to $29.95. I am sure many of you must be using Grammarly or any other tool to check the errors in the article. Do let me know your experience with it. Also, don’t forget to subscribe our newsletter for great offers and tricks. 6 comments to ''Grammarly Review: Write Error Free Articles"
Good information about Grammarly, at present i am working traditional mode of writing first on MS word later checking my proofreading on free online tools, after reading your article having one solution for all your error free writing Grammarly is best one to use, thank you for sharing this article. Thanks for writing a cool review bro,will give a try for sure. Would you know if they have a WordPress plugin?